The year started off with a bang as we added up the Pearl Foundation monies and cut the final distributon checks. Thanks to you, we were able to add a stunning $57,500 to each of the three scholarships we're currently funding, or a total of $172,500 for 2011! And now, The Pearl Foundation has passed the half million mark! To date, we have disbursed $555,000.00 in scholarship funds to Goddard, Berea, and Warren Wilson Colleges – and that doesn't include the Pearl Foundation scholarship at UT Knoxville, funded privately by Janis and Pat. So give yourselves a serious pat on the back, friends, and know that through your efforts, returning students are being given the opportunity to further their educations and growth. The biggest thing on my table right now is recording my autobiography for Audible.com. Noted producer Stefan Rudnicki will be at the helm, and Audible are looking at a summer release, so stay tuned! "As people all over the world gather to celebrate the London 2012 Olympics, a remarkable boat will set sail on its maiden voyage. 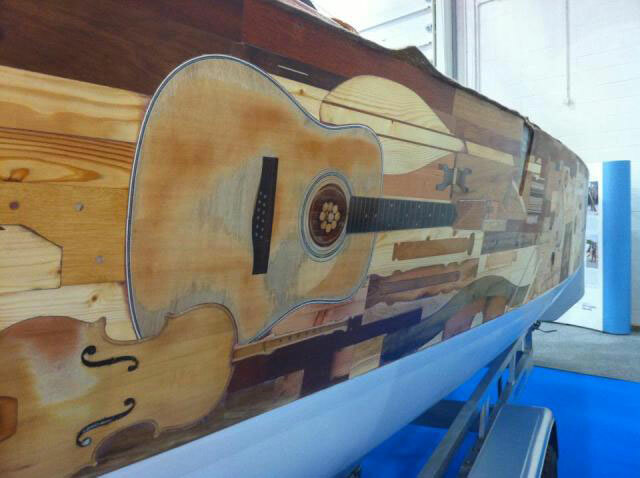 The Boat Project is a 30ft boat crafted by an adventurous team of boat builders and volunteers from wood donated by the public. Each piece of wood has a moving, memorable or extraordinary story behind it. These stories have become the inspiration for a CD, specially commissioned by the Festival's producers The Stables for the 2012 Festival. The CD features new songs composed by selected singer-songwriters and musicians from different genres who have each chosen a story to inspire their song, and will be released to coincide with the boat's maiden voyage around the South East of England, culminating in it coming inland to form a central part of IF: Milton Keynes International Festival over 10 days from 20th to 29th July 2012." I'm about to start working with Lucky Bat Publishing on a whole bunch of projects; among them making Society's Child: My Autobiography available digitally and through print-on-demand outside North America. We're also planning the same for everything from lyrics to stories to poetry and collections of my Performing Songwriter and Advocate articles, all with added content to keep it interesting. The one I'm most looking forward to is a re-issue of the classic Stars: Songs Based On the Lyrics of Janis Ian anthology, my first project with Mike Resnick. It's Mike's fault I began writing science fiction in the first place; Pat and I are excited to attend this year's Chicon, where he's going to be honored in a manner fitting his incredible career. 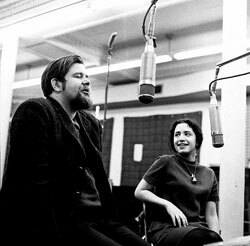 For you historians, there are some great archival photos here, like this one of me and Dave Van Ronk. I spent this morning doing interviews with journalists in Spain and Ireland for my upcoming dates there. Seven in a row, and the question everyone asked was "How has the downloading issue changed since your article came out?" Hard to believe this year marks a decade since I wrote The Internet Debacle and Fallout. One of the things I personally saw change was digital sheet music on my own site. The first year we put a songbook on line was 2006, and we sold an abysmal two or three. The next year was about the same. In 2011, though, we sold or gave away upwards of 130 songbooks and individual sheet music pieces. That, if anything, shows me how comfortable people are now with the digital world. Well, I'm off to Tel Aviv in a week, so I'd better go back to packing. Hope everyone had a great New Year, and that the next twelve months bring better times for us all! !